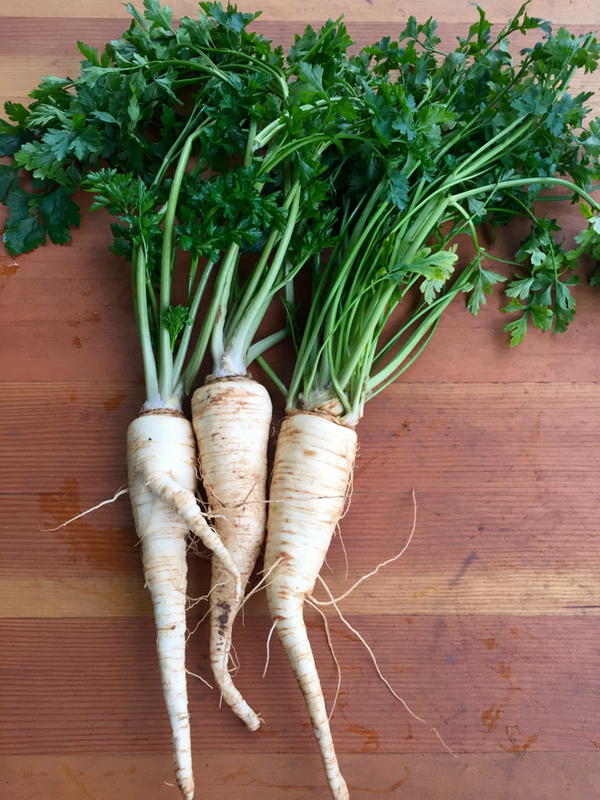 Parsley root is a variety of parsley grown for its large tap root. The leaves are very flavorful, sometimes even more so than regular parsley so use them just the way you would parsley. The root may look like a parsnip but tastes more like a carrot crossed with celery root and is not as sweet as a parsnip. It is delicious roasted, in a hash or in soups and stews and really anywhere you would use other root vegetables. Use the leaves in the Italian parsley sauce Salsa Verde or in this Green Sauce with other herbs.